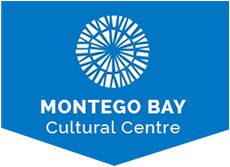 Intro | Montego Bay, to the World! African labour turned the plantation economy, and by 1700 the Black population was already approaching ten times that of Whites, especially in St. James and Falmouth. The Middle Passage not only brought thousands of Africans, but also their diverse heritages. The exhibition discusses our African legacies, enslavement and the Triangular Trade. The majority came from West Africa and on display are a range of items, such as currencies, Bronzes items, Ivory amulets, Gold-dust Weights weapons among others. 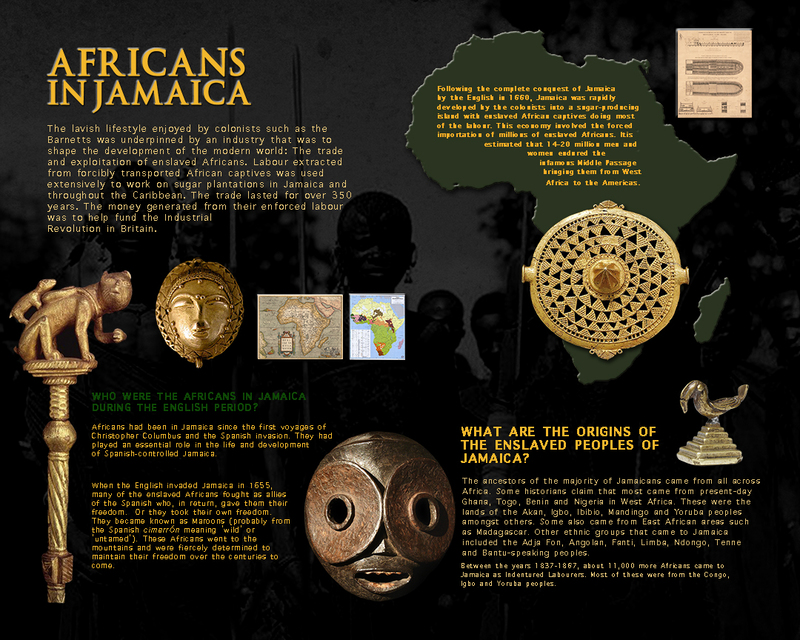 Africans had come to Jamaica during the Spanish Conquest, and in a loosely arranged slave system on the island, many Spanish Africans lived as herders, roamed the hinterland and were intimate with surviving Taínos. Freed by the Spanish, they took on the English invaders and formed inland enclaves that would remain a thorn for the colony. The exhibition relates how the Maroon’s guerrilla tactics were able to successively defeat the British Army, of the treachery of the Trelawny Town Maroons (not far from Montego Bay) and how their continued presence emboldened enslaved Africans to undermine the slave system. Displayed are Maroon musical instruments used in war to communicate and also for rituals and entertainment activities. © 2017 National Museum Jamaica. | All Rights Reserved.